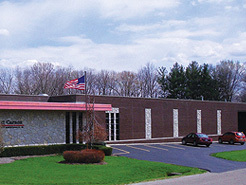 For nearly 60 years, Carson has built its reputation on designing, manufacturing, and marketing rugged, reliable electronic components and products for the emergency vehicle, HVAC and government elections industries. We continue in our efforts to install integrity and innovation into each of our products and services to better meet each of our customers’ needs. Carson is the sound choice for emergency vehicle sirens, electronic air horns, speakers and switch boxes. With rugged, reliable, customer-driven products backed by one-to-one service and a 5-year no-hassle warranty, Carson is a sound performer in an industry driven by the need for consistent results. Carson rotary switches are versatile, durable, economical, UL and CSA recognized with fractional horsepower ratings. Originally designed for the HVAC industry, Carson’s rotary switches are also ideally suited for other applications where fan speed or small motor control is needed.